One-To-One Home Care, LLC has caregivers who can help you with meal preparation and remind you to take your meds on time. We know that small reminders can make a big difference. Caregivers at One-To-One Home Care, LLC are tasked not just to assist you with daily activities but also to remind you to take your medications on time. This may seem like a trivial thing but if you skip a dose of your medications, it could affect your health detrimentally. Besides giving you reminders, we can also run errands on your behalf and prepare your meals. 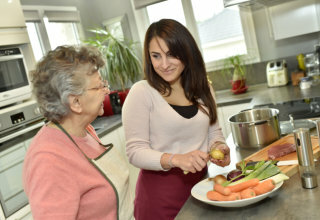 You’ll have less to worry about because a caregiver is looking after you at home. Finally, you have more time and energy to do the things you actually love. Call us at 770-694-1777 for further inquiries about our services!